Imagine a convention for toy customizers! Well thanks to Phantro of HISS Tank we’ve received word of the Far Side Custom Toy Convention! The Far Side Custom Toy Convention will be held on March 26, and is sponsored by one of our favorite companies, the Marauder “Gun-Runners”! 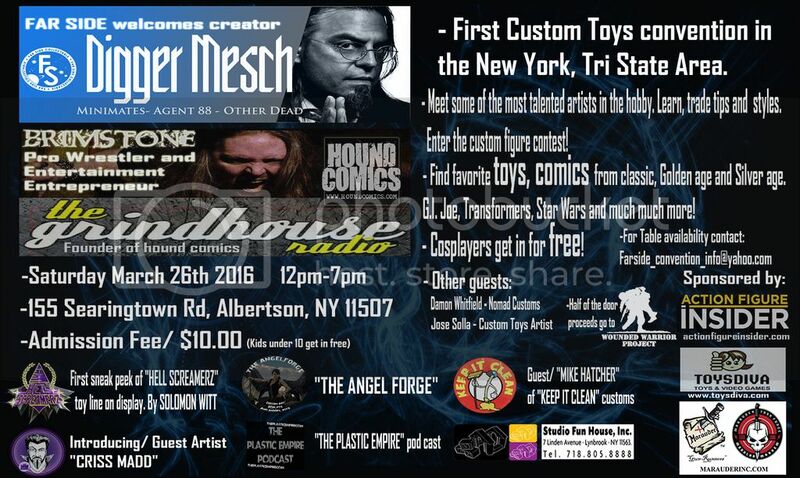 For more details, check out the Far Side Custom Toy Convention thread on HISS Tank! Far Side Custom Toy Convention discussion!